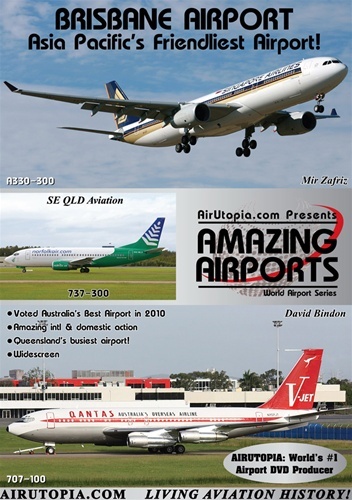 Welcome to the best kept secret in commercial aviation action - Brisbane International Airport! 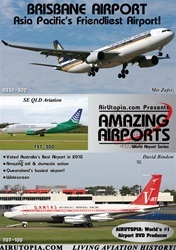 Join AirUtopia at Brisbane Airport, voted the best in Australia for 2010! Enjoy some amazing Queensland airport action with a huge variety of Aussie domestic airlines such as Norfolk Air, Skytrans and Alliance along with a spectacular array of international operators including: JAL, Air Niugini, China Airlines, Royal Brunei, Air New Zealand, Cathay Pacific, Singapore Airlines, Air Pacific and Air Vanuatu!. Voted Australia's Best Airport in 2010! Amazing international & domestic action!